It’s gonna be a bit of a hassle for some, but when it’s finished, the electrified “South-Link” rail line will mean a trip from Taipei to Taitung (Taidong) will take just 3.5 hours. “Night service on the south-link railway line from Chaochou in Pingtung to Taitung on the east coast of Taiwan will be suspended from Sept. 6 to June 30, 2019, to expedite work on a national railway electrification project. During the 21-month period, there will be no service on that line between 7 p.m. and 6 a.m. Monday to Thursday and on Saturdays …. highway shuttle buses will be provided to transport passengers at a 20 percent discount, according to TRA. Taiwan’s first railways were mostly built by the Japanese. They were greatly improved under the then-one-party rule of the KMT before plans for major changes — including electrification — were finally put into place. 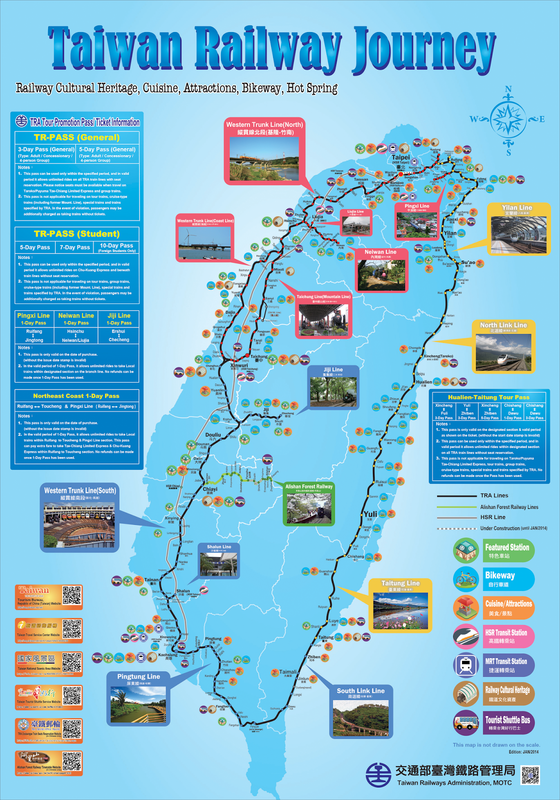 The link between Pingtung and Taitung is the last phase of this VERY long project, but it’ll be cool to swap what’s now a 6 or 7-hour ride for one that only takes about half that time.